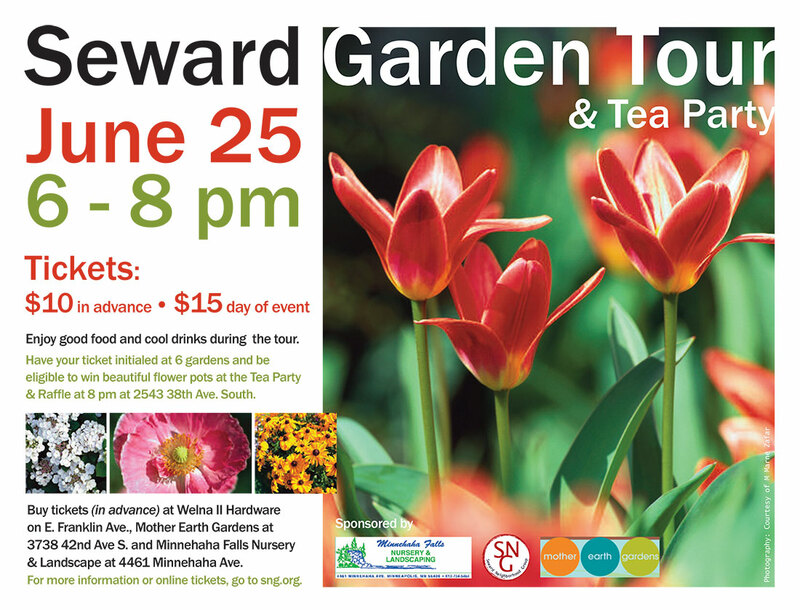 Join us for this year’s Seward Garden Tour and Tea Party! The Tour will run from 6-8pm on June 25th, rain or shine. There will be an after party at 8pm with door prizes, snacks and drinks! Tickets are $10 in advance, or $15 day-of. You can purchase yours at Mother Earth Gardens, Welna II Hardware, or at the SNG office. All proceeds benefit the Seward Neighborhood Group.